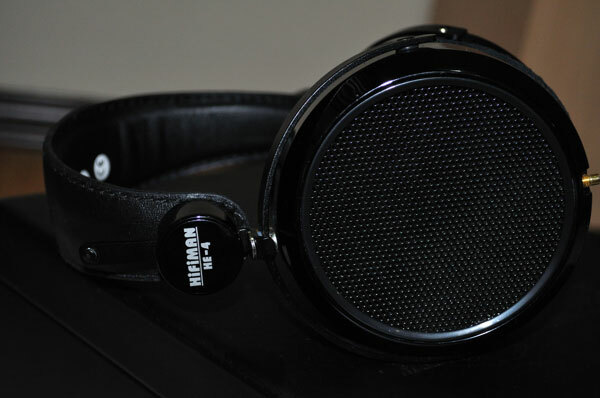 The Hifiman HE4 continues the development of the Hifiman orthodynamic headphone range launched Dr. Fang Bian. Whilst the HE6 and HE500 currently duke it out for the top end ortho crown, the gap at the bottom end, (mid hifi to the rest of us), of the scale was somewhat lean with only the HE5-LE and this came about in response to the original HE5 wood casing going through post-production teething problems. All sorted now but still at $700 the HE5-LE is not something you want to buy blind on a few reviews unless you are totally sure. In walks the HE4 at $450 and immediately at that price point it starts to get very interesting since the wealth of dynamic headphones are now within touching distance for comparison and competition. Mid-fi orthodynamic headphones are practically non-existent in the market today so pushing one out at this price point is a very smart move from Hifiman if you ask me. Only Fostex compete at a lower level and I guarantee you this headphone is a much more involving experience than the Fostex range. Interestingly, much like the HE5-LE, HE500 and HE6 the HE4 comes in exactly the same casing and fitting as the its bigger siblings. Now this might be a contentious one. For those buying into Hifiman ortho headphones at the HE4 point might pat themselves on the back at getting a nice fancy headphone that looks like the HE6 at nearly one third of the price, but on the other hand the HE6 crowd might scratch their heads and wonder why their flagship ‘looks’ the same as the entry level one. A touch of individuality might not go amiss to be honest. If one remembers the HE5 with it glorious wooden look then you might be inclined to think the new black plastic finish should have stayed within one edition only. I have to say though there is something very consistent and nice though when you line them up side by side. You cannot mistake a Hifiman ortho headphone anymore as a result. 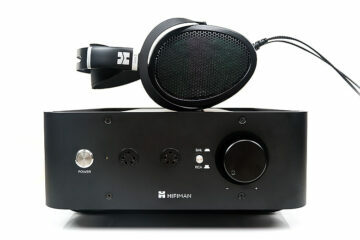 Better to think of the uniqueness of the Hifiman headphone experience than any one particular headphone in the range. You also still get that wonderful purpose built carry box with two extra cables. 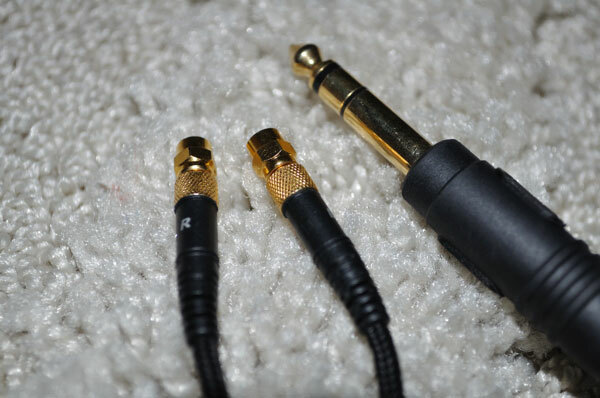 The previous xlr connected heavy duty cable fo the HE6 has now been replaced by a more sleek production level molded connectors that in my mind are not only lighter but of a far superior fit and finish to the original cables. For both my He6 and HE4 these are my go to cables now. I can’t confirm the soldering done on the inside if it is stronger than the original HE6 connectors but the molding should help significantly with resistance to the inevitable twist effect when screwing in the connectors to the cups. That being said the HE4 is made with as much loving attention to detail as the HE6 and it shows how serious they are about cracking the mid-fi level currently dominated by the likes of Sennheiser, Grado and Beyer. The headphone itself compared to the HE6 is much lighter, weighing in at only 350g compared to the HE6 at 502g. This actually makes a big difference when handling and wearing them and in terms of comfort. My smallish head gave this a two thumbs up since the smallest setting on the HE6 is just about right for me (would prefer smaller on the HE6 to be honest). Much of this lightness comes about due to the slightly different setup inside the housing for the HE4 and in some way explains the lower price point. Using one magnet per driver instead of two, or basically only one side has magnets instead of both as in the HE5-LE and HE6, reduces a lot of weight present in the bigger headphones. In turn also the HE4 is a marginally more efficient but less sensitive headphone than the HE5-LE and HE6 though I would still advise a strong amp to get the best out of them. Hifiman’s own resale site, head.direct puts a figure to this lessening of magnets by about 50%. In all other physical respects, apart from the discreet labeling on the side of the bands, the HE4 is identical to the rest of the HE range. Of course my instant presumption as I put these on was that since it was a $450 version of this great ortho range its going to be somewhat disappointing or just more of the same sq but on a weaker level. But actually nothing could be further to the truth. Sporting a slight v-shape sq the instant impression of the HE4 is something more akin to a fun musical headphone that excels more in the R&B than the classical. Now I won’t go as far as to say this is some DJ monitoring headphone, nothing of the sort, but the purposeful v-shape with the snappy mid-bass hump and big sound stage does add a touch more slam and atmosphere than I had expected having spent most of my time with the more precise and exacting HE6. With the v shape comes a natural sparkle at the top end. Now some of the guys upon testing felt it might be too bright and others really did not think that way. Some even claimed they much preferred this to the LCD-2. In fact 5 out of 6 testers preferred this to the LCD-2. Now this had me shocked to the core given the price difference and the positioning of the headphone in terms of other competitor headphones. I am not going to say this is better than the LCD-2 to be honest, I would need some serious time with both to come to any sort of definitive listening conclusion but I will say this; the highs have a nice clean edge to them, contain fantastic detail and are in no way sharp for my tastes. They work equally well with rock, dance and soft tracks. It really quite the versatile headphone if you ask me. Sound stage wise is not as big as say the HE6 being a tad more forward and aggressive and still has a somewhat iffy imaging but vastly superior to some dynamic equivalents when throwing in some rock in particular into the mix. At times the aggression can come across a bit bright for some tastes; after all a v shape is going to emphasize both end of the spectrum but in truth after a few hours burn in everything settled into place and I found the balance to be quite enchanting and very musical. 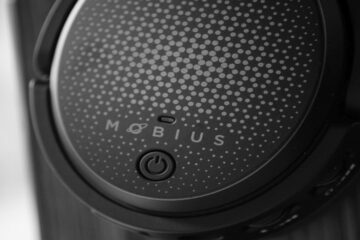 Be under no illusion though that just because its 50% less magnets and has a $450 price tag this headphone is not necessarily much easier to drive and that this level of musicality can be easily obtained under regular amping conditions. The HE4 still requires a good amp to maximize it’s potential. Tested out of a Go Vibe Vulcan+ and and headphone out of the Maverick D1 Dac/Amp it didn’t do it justice instead giving it a very thinned out experience even when tuned to the max. However matching this with the Hifiman Ef5 and the Bada Ph30 dedicated power amp with headphone stages was just stunning. Perfect matches in truth. The EF5 took the prize though for adding that rich tube fullness to the sound and just giving a bit more oomph in general to the bottom end but the Bada Ph30 was no slouch either. If you are going to pick up a HE4 I suggest you go for the HE4 with Ef5 combo deal and be done with the eternal amp quest before you even begin your audio journey with this headphone. In truth the HE4 is not a mobile headphone in that respect and should be treated as part of a good great desktop setup at the mid-fi level. Comparing them (aural memory alert!) with my previous headphones such as the AKG 702, the AD2000 and Grado HF2 I have to say the HE4 competes very strongly. Much fuller and richer than my old K702, bigger sounds stage than the HF2 and only the AD2000 could rise above this with the wonderful airy feel and rich sensuous mids but looses out to the HE4 for bass impact. This is a very different beast to the HD650 to be honest being much brighter and those in the Senn camp may not favor the HE4 as a result. I get the feeling though those from the Grado camp might enjoy the HE4 a lot more. It really is a funny old world because although I freely admit this is technically inferior to the HE6 in many respects I have actually worn the HE4 non-stop for a week now and enjoy every aspect of it. It really is a revelation at this price level or entry point for me personally and I would heartily recommend you give this a go out of a good amp (though no need for speaker level proportions) before settling for the dynamic competitors just to see what an affordable ortho can really do. Fiio A1 Digital Speaker Amplifier – Full Audio Conquest?